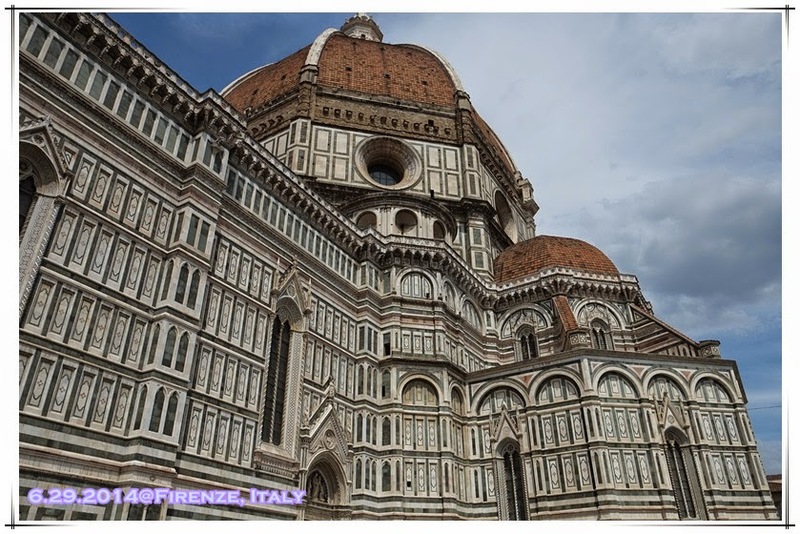 Firenze, and its two translated names in Chinese, they are all beautiful names. 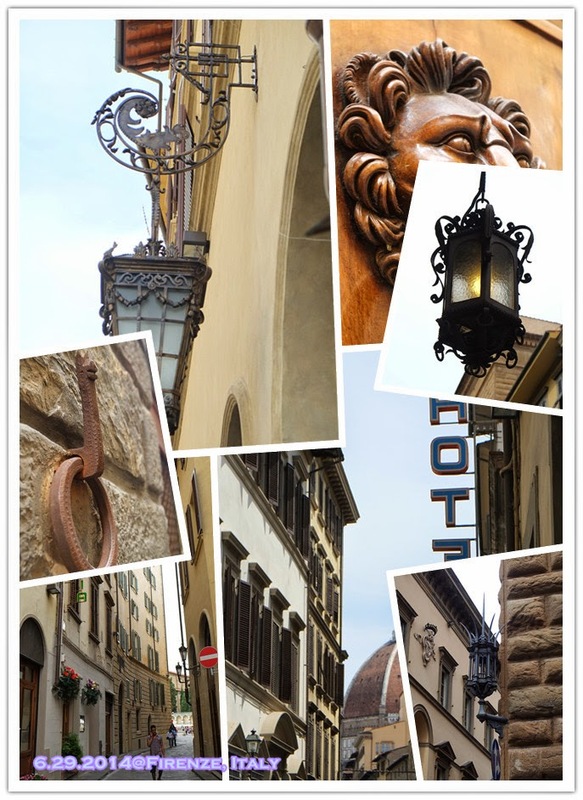 Because of the names, I have always had a wonderful and romantic fantasy about Florence. We live in a friend’s place for 8 nights, and have been really relaxing. We were helping our friend to prepare a few things for the wedding, but even more, we have been enjoying Italian cuisine, relaxing, and chit chat with old friend. 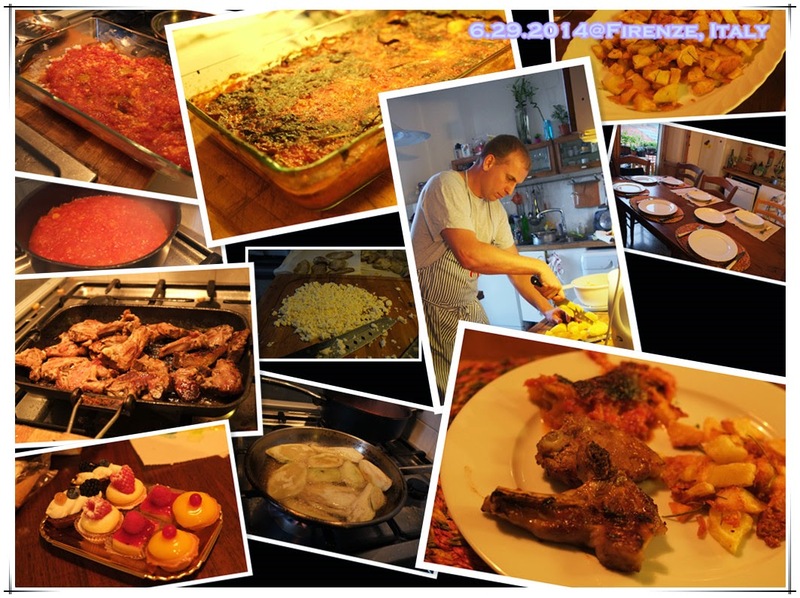 No to mention the rest, I always believe that it is a woman’s bliss to have a man who cooks! I really believe that the four of us should live together (or at least next door), one would cook, the other would do the dishes and we will get to enjoy life! We can do our handicrafts all day, and hopefully some of them can make money also …. Day dreaming…. Delicious meals at restaurants, highly recommend trippa and huge T-bone steak. We are already used to Italian’s despise look when the two of us order one pizza. Apparently, ordering two 1.8kg T-bone steaks for ten are still …. The waiter actually recommended that we should order five portions of 1.2kg, which means 6kg and each person has to eat more than one pound of T-bone steak!! Oh my god!! I also like the “Italian tempura”, they fry zucchini flowers and also other vegetables, but I personally love the fried mushrooms. The strong mushroom flavor is still something that I miss over time. No matter how well we dine out, the chef at home is better!! Especially when you see the passion in cooking and watch the way he cooks, so casually and naturally. We do not only enjoyed the dishes but the process also! We of course did some tourist activities also but not the focus here. I was tired of going to museums. The Duomo in Firenze is truly beautiful though, it is by far the most beautiful cathedral I have ever seen. However, you really don’t need to queue up to go inside, nothing much to see in there. What I enjoyed most in Italy is wondering around on the streets. Balconies always have some colorful flowers or different types of cactus, each one is a picture. Any one street lamp or a hanging sign board is something for a postcard. I love the streets and alleys in Firenze, they are all movie scenes, wondering on the street is so enjoyable!